When it comes to emergency preparedness, we understandably prioritize commodities that will help us to avoid or minimize risk, and then on those that can aid in responding effectively when “it” happens. These are important considerations which all schools must address through effective planning, training and resource development. However, an often overlooked component of a comprehensive safety strategy is Business Continuity Planning (BCP). In this critical phase, we ask the question that eventually arises after an emergency: What Now? What does leadership look like before, during and after an emergency? If our Incident Commander is compromised, who is next in line? And after that? Create a succession list of at least five leadership tiers to ensure there’s always someone at the helm. Where do we go if we can’t come back? If our campus is not accessible after an emergency, do we have formal agreements in place for a short term solution? Long term? Finding alternative space for leadership and / or the entire school community can be a challenge. Identify spaces with the resources needed to function as your HQ or backup learning site. How do we continue to educate our students? Whether it’s setting up temporary classrooms at a backup facility or teaching remotely via an online module, we need to outline the strategy for connecting educators with students and ensuring access to our our rosters, lesson plans and other teaching resources. Speaking of teaching resources, we can’t assume that staffing will be at 100% following an emergency. In fact, losing access to up to a quarter of your people is a best case scenario. Having a plan in place to bring in established substitutes or additional support from agencies such as Teachers on Reserve can make all the difference. How robust is our technology? Fortunately, data redundancy is inherent to most tech departments. Most critical information lives in the cloud or is backed up on multiple servers. Finding out what information and processes live where and ensuring that the right people can access them if your primary server go down can mean the difference between being back online in 24 hours or 72 hours. This process also involves vetting your software vendors to ensure they are as prepared as you. What partnerships can we foster to ensure the community thrives? A Memorandum of Understanding (MOU) will serve as your formal agreement with facilities, supply vendors, staffing agencies, service providers, communication firms and other resources. Identifying those partners who are willing and able to support you can be a daunting task. And, the parameters for who you can rely on shift depending on whether the emergency is local, statewide or even national. Factor in your likely risks and prioritize your partnerships accordingly. Finally, because we all share a sense of stewardship to the community, consider the role you can play in helping your neighbors, other schools, organizations and families as they plan for their continuity. Your campus, your people and other resources may be positioned to shelter, feed and otherwise sustain others. However, we can only get so far with good intentions. Planning ahead to determine how your space, supplies and people can stretch to serve as a community center during a crisis is key. The work is well worth the effort and can help create stronger partnerships. We are after all, Safer Together. Check out more of our school safety resources below! 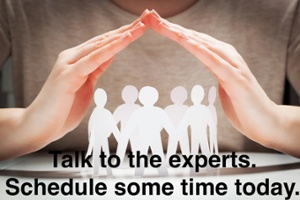 Feeling a little behind on your Business Continuity Planning? Hey, there's never a better time to make your school safer than right now.